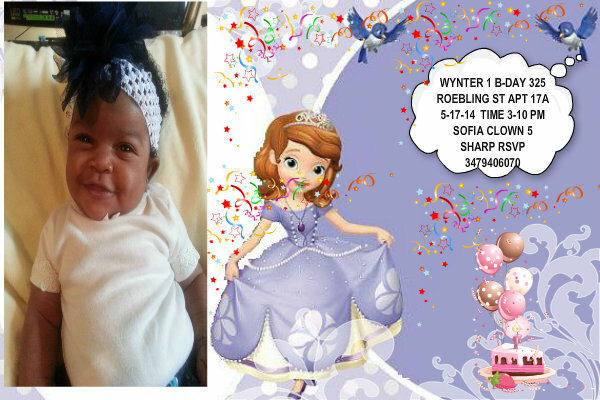 WYNTER IN WONDERLAND 1 BDAY. 325 Roebling st APT17A 11211 5-17-14 TIME 3-10PM SOFIAclown 5 sharp RSVP 3479406070 Size 12-18 . Wallpaper and background images in the Sofia The First club.